Mr. Bjorkman leads Portfolio Oversight for CIM’s private real estate debt and Opportunity Zones investment strategies. He works closely with global institutional investors including sovereign wealth funds, public & private pension plans, family offices, endowments & foundations, and other strategic investors on structuring equity investments in CIM vehicles. Mr. Bjorkman is also responsible for portfolio construction and coordination among internal teams to source, underwrite, close, and execute new investment opportunities. 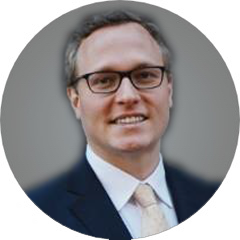 Mr. Bjorkman previously worked at real estate private equity firms holding positions in investments, capital markets, and investor relations. He holds a Bachelor of Science in Business Administration with concentrations in Real Estate and International Business from Denver University.